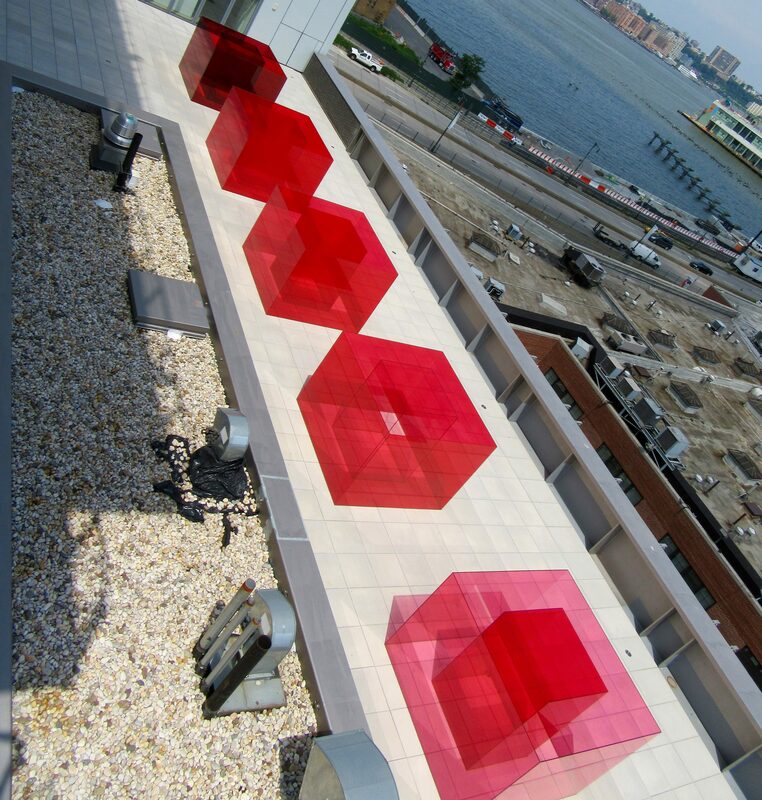 Over the years, Bell has developed coating and laminating techniques in order to tint his sculptures or imbue them with metallic or smoky finishes. 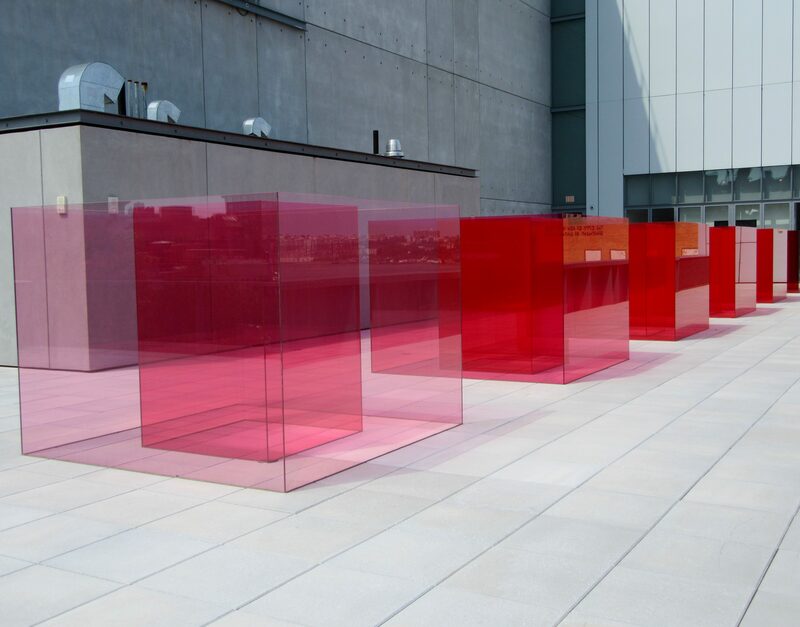 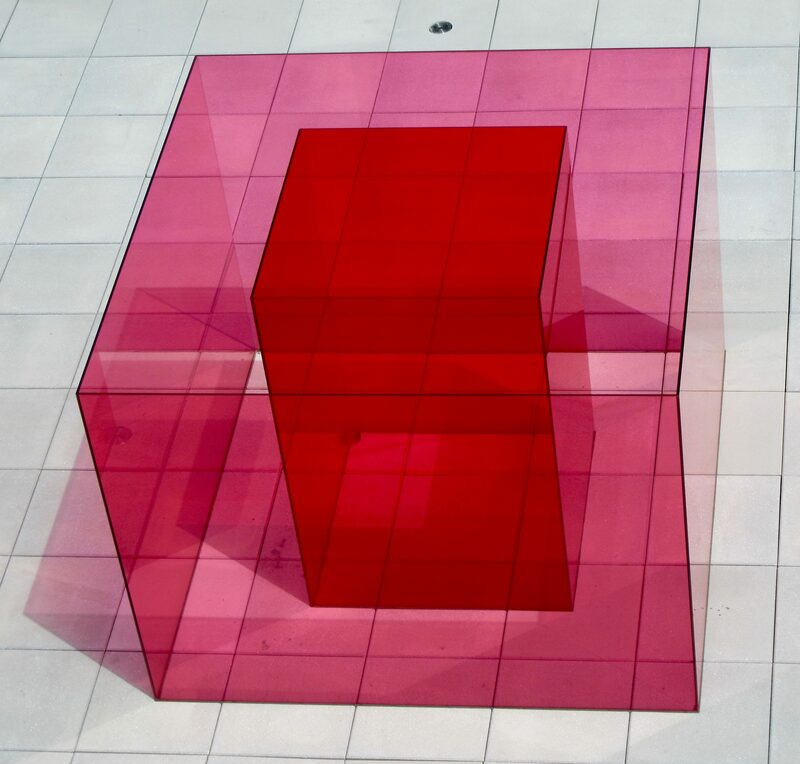 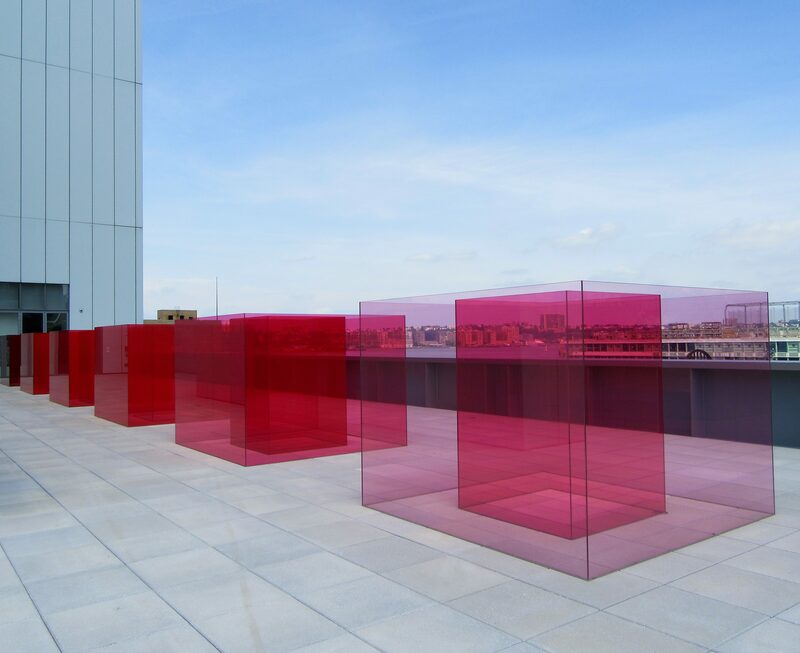 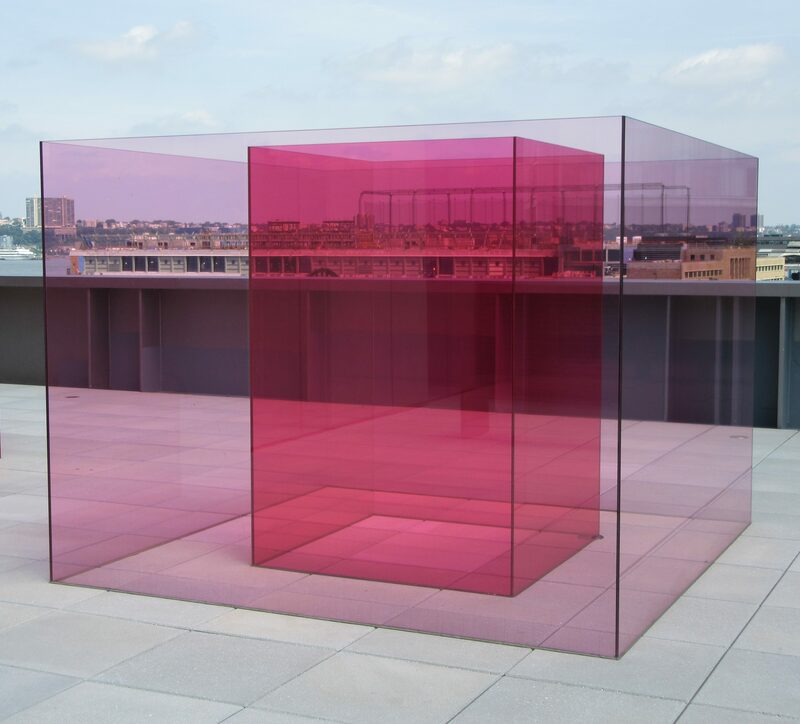 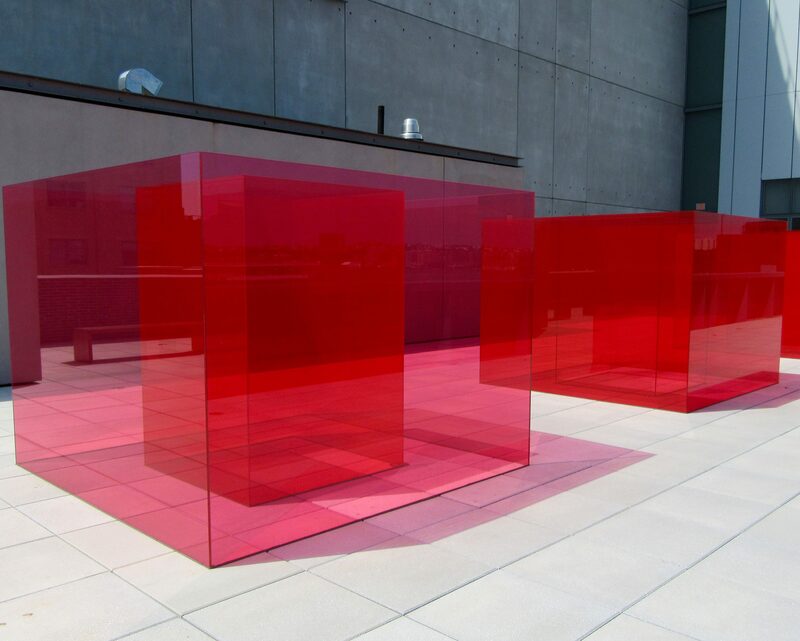 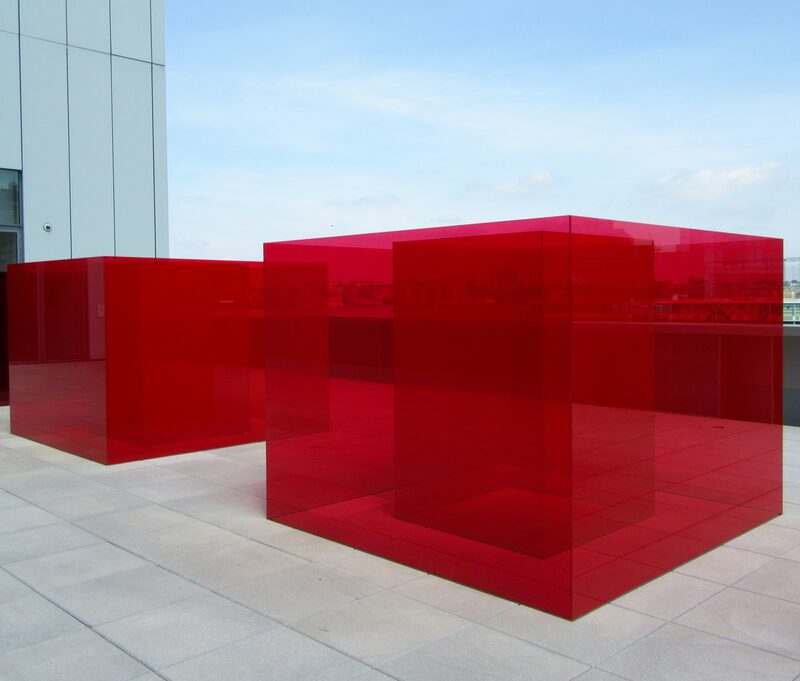 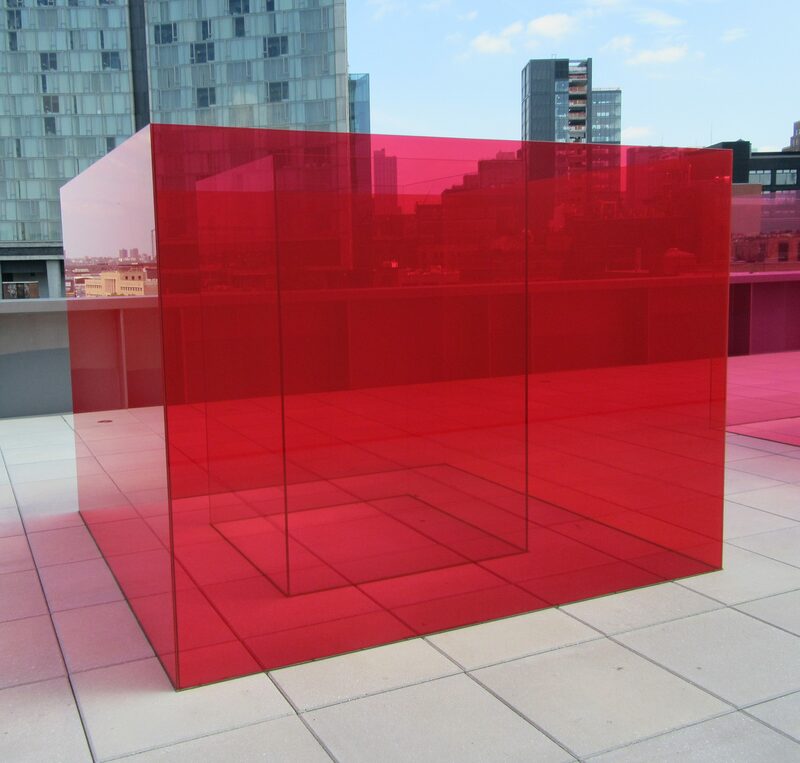 Here on the Whitney Museum 5th floor outdoor terrace, Bell has installed Pacific Red II (2017), a work consisting of six laminated glass cubes, each measuring six-by-eight feet, and enclosing another six-by-four foot glass box. 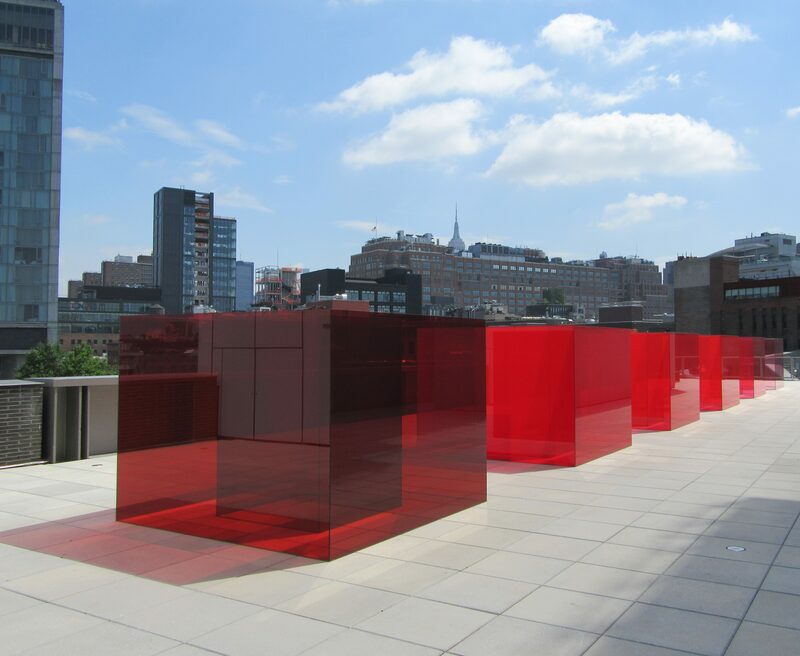 The multiple surface interplay and respond to their urban surroundings, when glass towers abound. 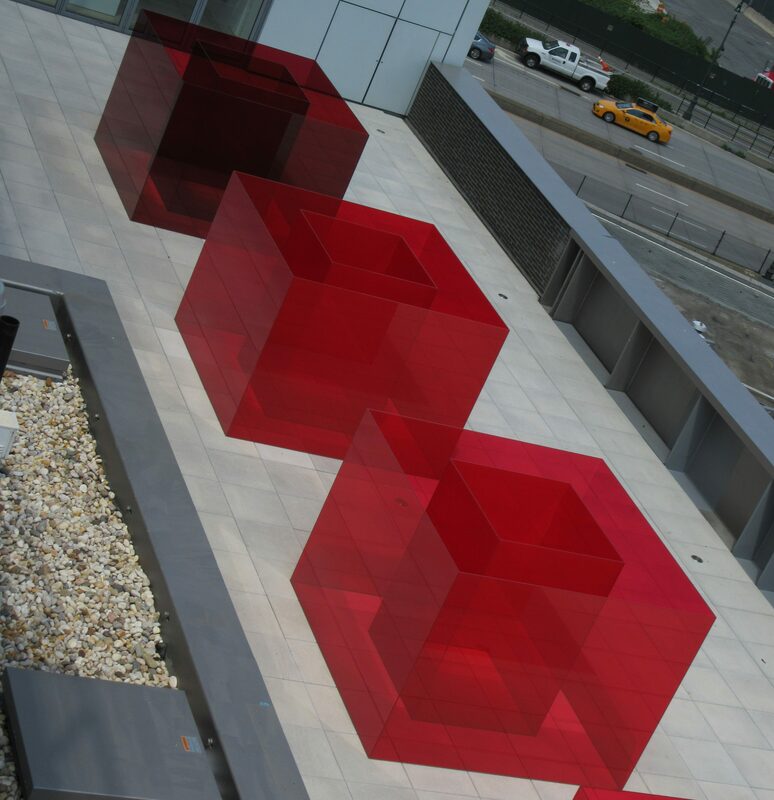 Read more about the painstakingly brutal installation process of Pacific Red II, and see a video, at This Link.